Nifty opened flat but saw selling pressure from the word go with any pullback bringing in more sellers. The index closed near the lows of the day at 6652.55, huge loss of 62.75 points. The broader market was also negative, with 597 advances to 879 declines. Expected range till before Election result seems to be 6500-7000. Call option 6700-7400 added 20.46 lacs huge amount of OI with small short covering seen at 6500 and lower strike prices. Put option 6700 added 1.63 lacs huge amount of OI with short covering seen at 6800 strike price. Nifty Open Interest is at 1,38,49,750 up by 9,43,100, with huge decrease in price, most probably huge short build-up. 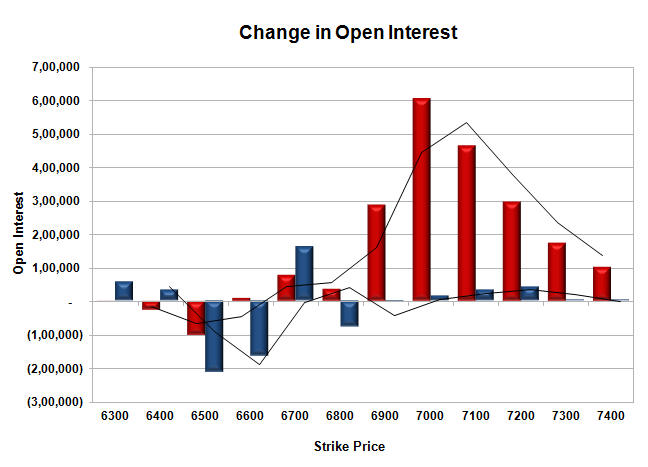 Bank Nifty Open Interest is at 17,00,200 up by 38,975, with decrease in price, most probably short build-up. FII’s sold huge 7.62 lacs Futures, mostly short build-up as their net OI increased by 20411 contracts (includes 39351 longs to 54590 shorts for the day) and the average price per contract comes to around 6654.82. FII’s future open contract as on date is 279709. PCR Open Interest (Volume) has crashed to 1.061. Initial support now at 6600, with OI of just 19.87 lacs and below that at 6500 with OI of 41.23 lacs. 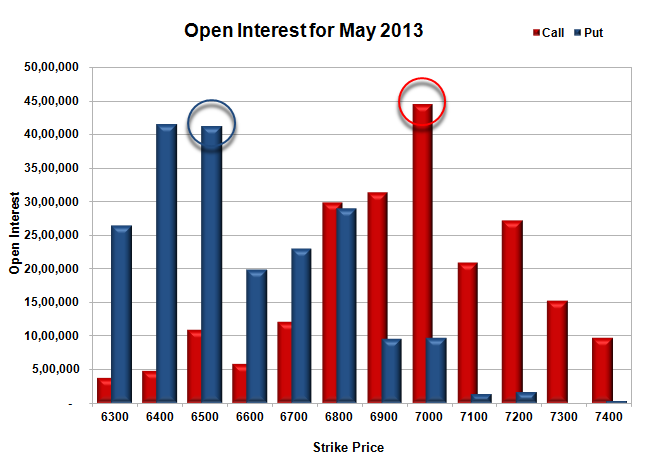 Initial resistance at 6800 with OI of 29.84 lacs and above that at 7000 with highest OI of 44.53 lacs. 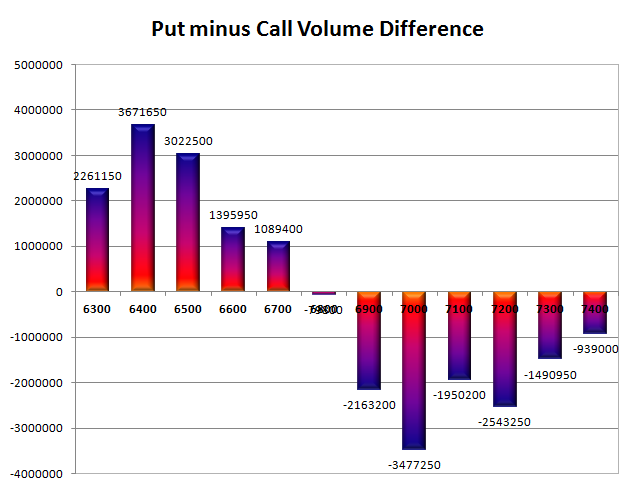 Day Range as per Option Table is 6618 - 6720 and as per VIX is 6536 - 6770 with 6671 as the Pivot.